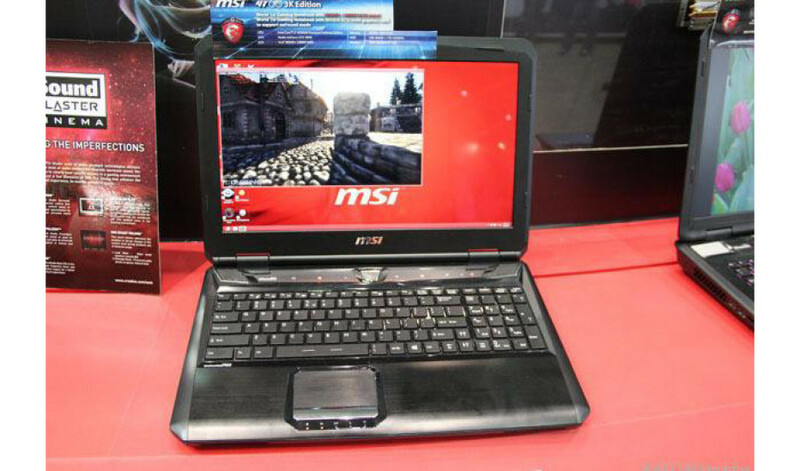 MSI has been well-known for making high-end gaming laptops and the latest proof is right here – the famous Taiwanese company has presented the GT60 3K Edition gaming notebook, which is the most powerful such device that the company has presented. The GT60 3K Edition measures 380 x 260 x 45 mm and weighs 3.5 kilograms. The notebook is based on a powerful Intel Core i7-4930MX Extreme Edition processor that runs at 3.0 GHz (3.9 GHz in Turbo Mode), Intel HM87 chipset and has a 15.6-inch display at WQHD+ resolution (2880 x 1620 pixels, 16:9 aspect ratio) also known as 3K resolution. The other specs include some really powerful hardware – 32 GB DDR3L memory at 1600 MHz, an NVIDIA GeForce GTX 780M graphics card with 4 GB of GDDR5 memory, three 128 GB mSATA SSDs, a 1 TB hard drive at 7200 rpm and a Blu-Ray burner. The notebook also provides 802.11n Wi-Fi, Bluetooth, three USB 3.0 and two USB 2.0 ports, two Mini DisplayPorts, HDMI and D-Sub ports, a two-speaker Hi-Fi system and a subwoofer by Dynaudio, a 720p web camera, a SteelSeries keyboard with LED backlight, Cooler Boost technology as well as a powerful 9-cell battery. The GT60 3K Edition runs Windows 8.1 64-bit out of the box. The pricing of the new gaming notebook is still unknown.